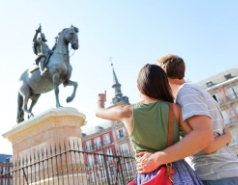 Discover the top Madrid attractions. 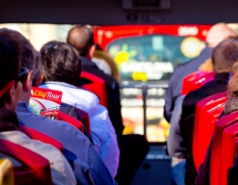 Don't miss the best places to visit in the city. The foundation stone of Catedral de la Almudena was laid in 1883, but when Pope Leo XIII granted a bull in 1885 for the creation of the Madrid-Alcalá bishopric, the plans for the church were changed to become plans for a cathedral. The Catedral de la Almudena, which stands in Hapsburg Madrid, was considered completed in 1993. On June 15th 1993, it was consecrated by Pope John Paul II on his fourth trip to Spain. 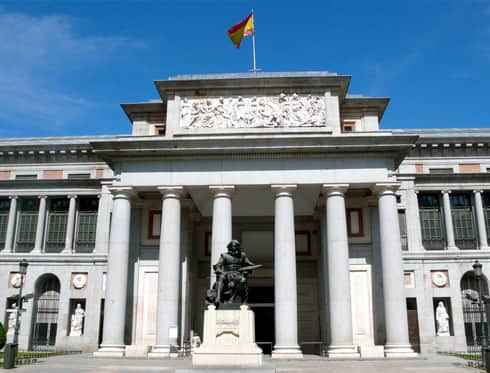 The Museo del Prado is the crown jewel of one of the capital’s most visited tourist itineraries: the Paseo del Arte. 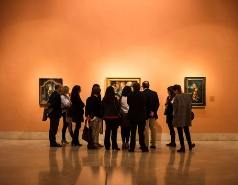 Its walls are lined with masterpieces from the Spanish, Italian and Flemish schools, including Velázquez’s ‘Las Meninas’ and Goya’s ‘Third of May, 1808’. Its collection comprises 8,600 paintings and over 700 sculptures, so you better decide what you want to see before stepping into the museum. 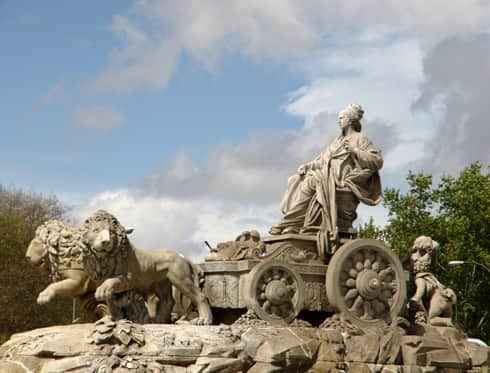 It is the home to the Kings of Spain from Charles III to Alfonso XIII. Though it is no longer the royal family's home, it continues to be their official residence. It is located on the Antiguo Alcázar (Old Fortress). 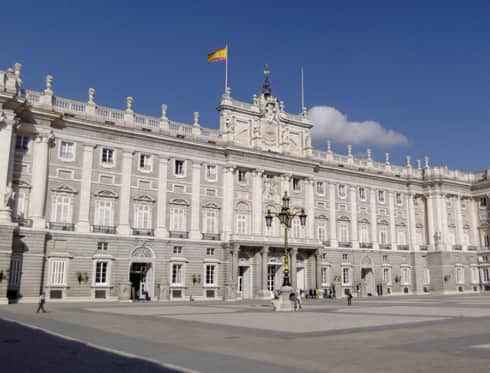 Charles I and his son Philip II turned the building into a permanent residence for the Spanish royal family. However, in 1734 a fire burnt the Palace of the Hapsburgs to the ground, and Philip V ordered the construction of the palace that stands today. This green oasis in the centre of Madrid has 125 hectares and is home to over 15,000 trees. 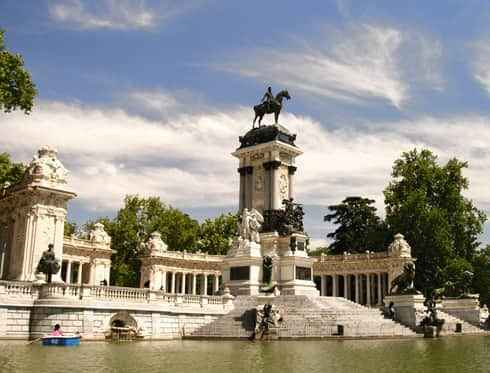 The Parque de El Retiro is not only the lungs of Madrid, but also offers cultural, leisure, and sport activities to all people, those from Madrid and those visiting. 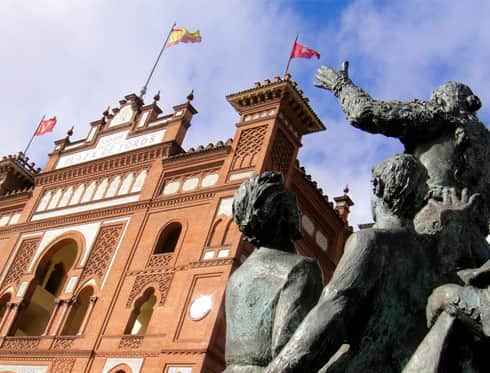 Among its architectural, historical and popular elements are the lake for rowing, and the Velázquez and Glass palaces, both used today as exhibition halls. This portico lined square is situated at the heart of Hapsburg Madrid, the old part of the city and one of the capital’s most charming districts. 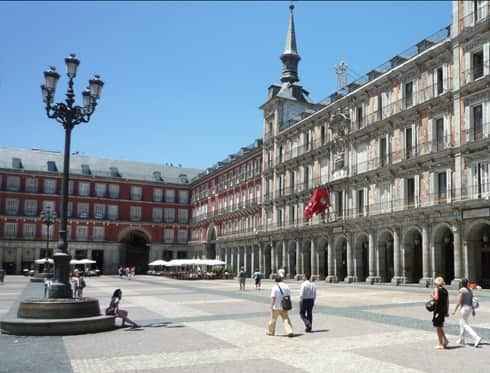 The foundations of Plaza Mayor were laid when Philip II's court moved to Madrid. In 1617, architect Juan Gómez de Mora was commissioned to create a greater uniformity amongst the buildings in this location. Here at Plaza Mayor it stand out Casa de la Panadería, Arco de Cuchilleros and the Phillip III statue. 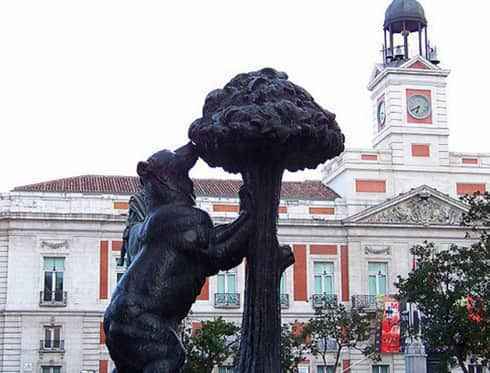 Central and bustling, Puerta del Sol is one of Madrid's best known squares. Several busy historical streets, such as Mayor, Arenal, Alcalá and Preciados Street converge here. 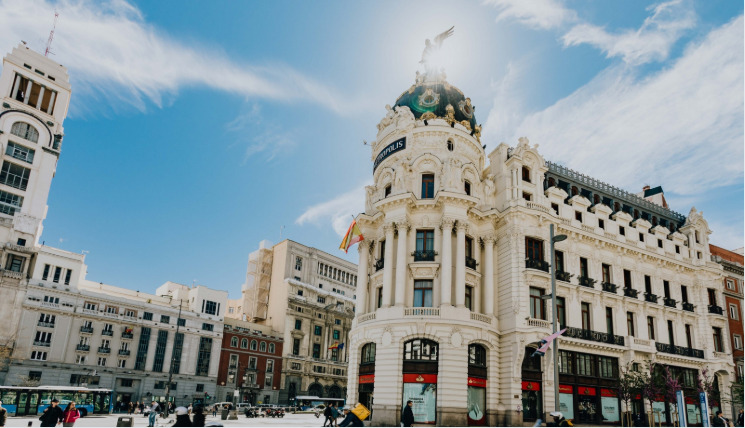 One of the city’s best known landmarks is the famous clock at Casa de Correos, the headquarters of the regional government of Madrid. There is the plaque marking Kilometre Zero, the point from which the country’s radial roads are measured, and the Bear and the Strawberry Tree statue. 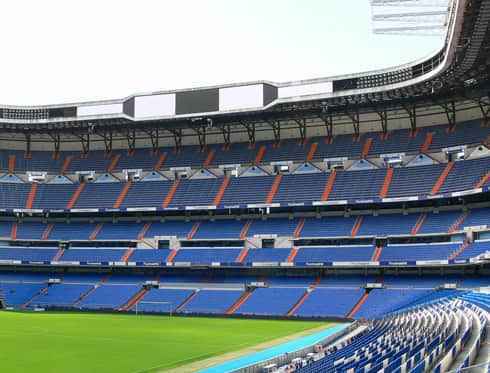 Named after the club’s legendary president who headed Real Madrid between 1943 and 1978, the Estadio Santiago Bernabéu was opened in 1947. The Bernabéu Tour takes visitors around the club’s most iconic spots and shows them the stadium the way the authorities see it, from the Presidential Balcony; from the players' perspective, from the pitch itself, and from the coach’s viewpoint, sitting in the heated ergonomic seats in the bench area. 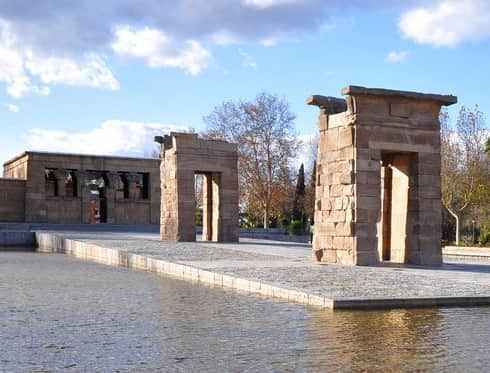 The Templo de Debod is an Egyptian temple dating back to the 2nd century BC, transported to Madrid’s Cuartel de la Montaña Park. The temple was donated to Spain by the Egyptian government to save it from floods following the construction of the great Aswan Dam. Works on the temple began at the beginning of the 2nd century BC at the orders of the Meroë King Adijalamani, who built a chapel dedicated to the god Amun and the goddess Isis.